A couple of weeks ago I needed to repair my iPod transmitter for the car and the fix was a simple one – Resolder the power supply cable and replace the decoupling capacitor because it had broken. The problem was that I had no ceramic disc 0.1uF capacitors. I ended up using a miniature multi-layer ceramic which seemed a bit of a waste but it did the job and the transmitter is all sorted. 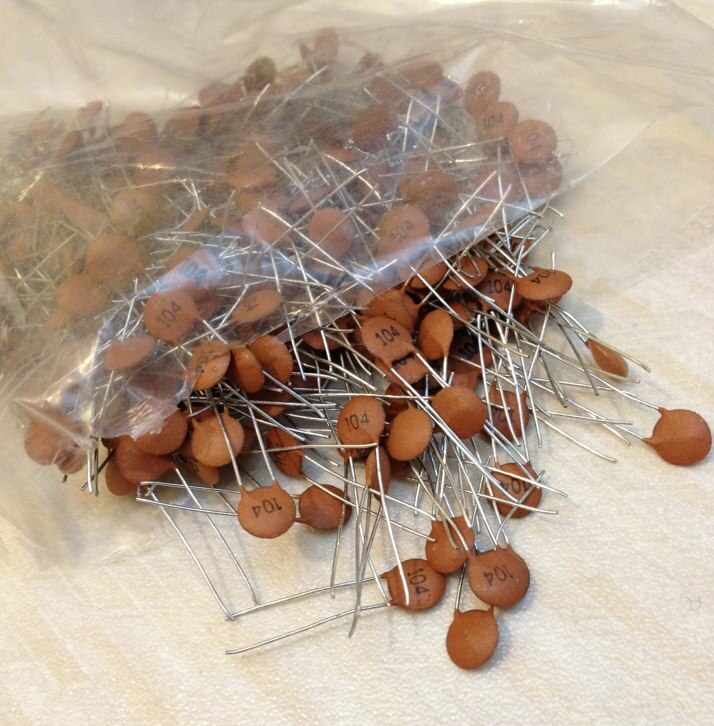 I was disappointed that I didn’t have any ceramic disc 0.1uF capacitors though and so I had a quick look and found a supplier on eBay in Hong Kong. I placed an order which cost me about three quid and then a few days ago a nice package turned up. As the title of this post says – One can never have too many decoupling capacitors. I think I’ll be OK for a while. I’d suggest that you now have ‘more than enough’, which of course is subtly different from ‘too many’.